An interesting range that has tapped into a gap for growing children. 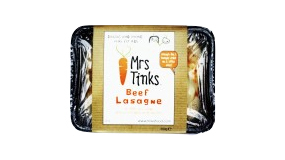 Realising that supermarkets are catering for babies and toddlers, Mrs Tinks is aimed squarely at the slightly older primary school child. The brains behind the brand, Julia Boddy, started to prepare home made food for parents of children at her local school. She identified that parents that were short of time still wanted home prepared food for their kids. Products are now delivered in the South of London and are being stocked in Budgens. It will be interesting to see if the ‘home prepared’ nature of the brand allows it to expand further! Useful articles on how to make your brand packaging design work brilliantly. We won’t share your data and we promise to keep your details safe and secure.